A-Team - Trouble. Vinyl EP. Bleep. 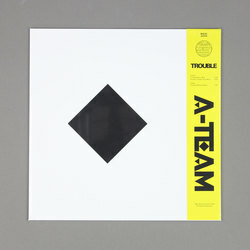 Funny case of the ultimate ungoogleable with this reissue of 80s punk funk group A-Team. Hailing from the UK and recording these tracks in the legendary Ariwa studios the band split not long after the release of their one and only 12”. Brandon Hocura (Ex-Invisible City) now lovingly brings these jams back to life via his Seance Centre imprint following on reissues from Eblen Macari and Michael Banabila. If you like Maximum Joy, Arthur Russell, Liquid Liquid etc then this one really is a no brainer.